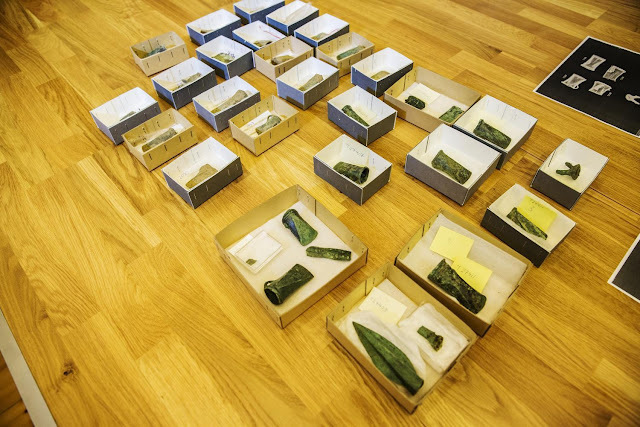 Largest hoard of Bronze Age axes found in Norway. 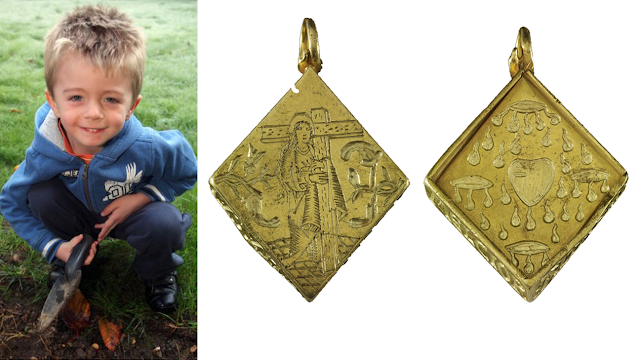 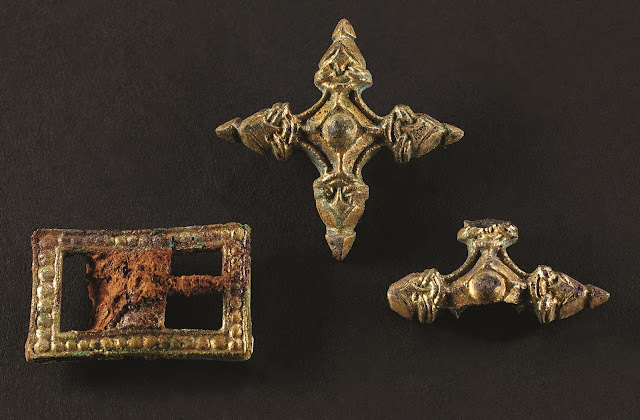 Joakim and Jørgen Korstad, brothers from Stjørdal in Norway found nine socketed axes, a spearhead, a casting mould and fragment of a bronze lur while metal detecting in a field in the village of Hegra, 44 km east of Trondheim, which lead to the discovery of 30 Bronze age artefacts which dates around 1100-500 BCE (approximately 3000 years ago). 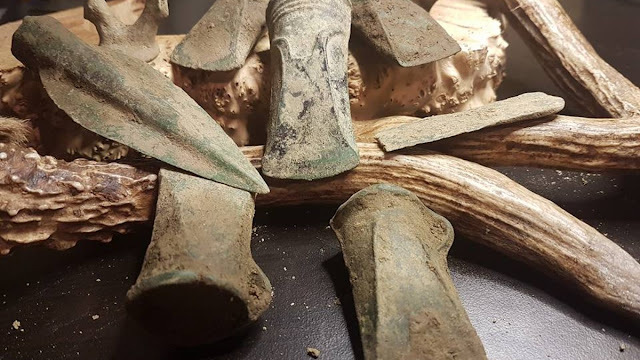 Mr. Merete Moe Henriksen who is the archaeologist and researcher at NTNU's Department of Archaeology and Cultural History says the discovery contained spearheads and 24 axe heads in good condition which is one of the largest hoards of the kind ever found in Norway. 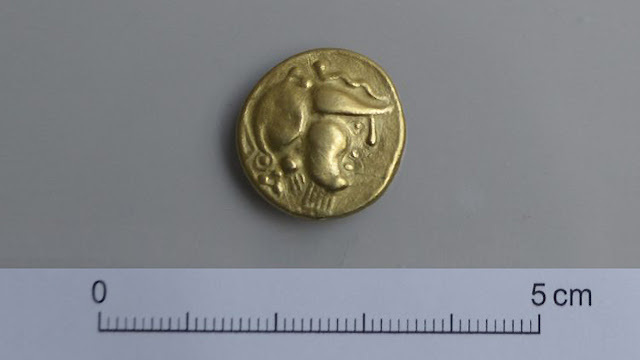 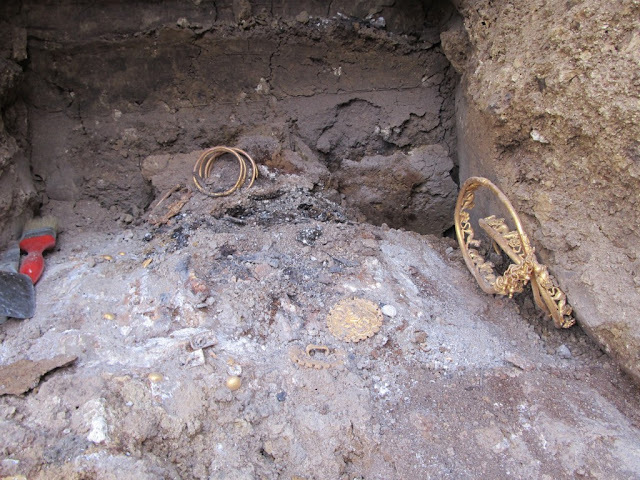 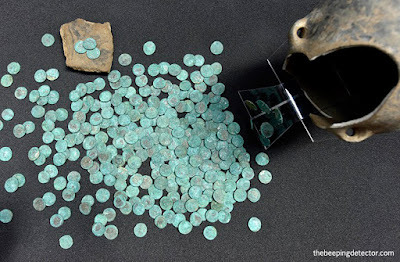 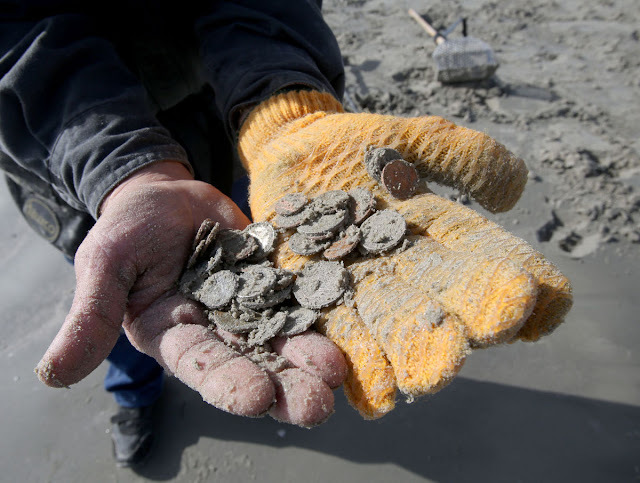 The reason why these objects were buried together has not been determined yet, but the archaeologist, Mr. Hendriksen, suggested possibilities are as a part of a religious sacrifice or temporary cache with the intention to recast the metal later on. 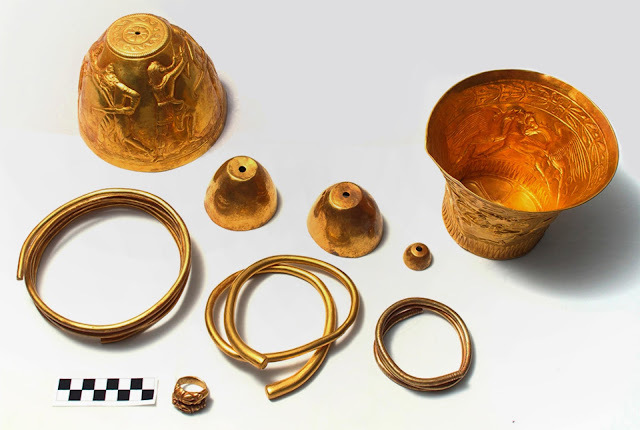 The artifacts will be displayed in a local museum in Stjørdal.